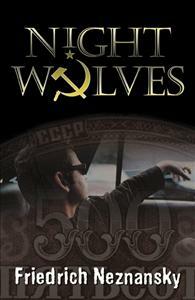 Spectacular robberies and killings in Moscow, what the heck does Russo-American businessman Portnov have to do with it? Cool sleuthing by intrepid detective Turetsky finds the answer. Someone is staging spectacular armed robberies of bank armored cars in Moscow. Intrepid detective and inveterate womanizer Sasha Turetsky and his colleagues set about trying to solve the robberies and also one particularly mysterious murder. Meanwhile Felix Portnov, once the leader of the notorious “Night Wolves” gang in Moscow and now a U.S. citizen, has recently returned to Russia, where he is presenting himself as a respectable businessman. The police wonder what Portnov is really up to. Eventually, many corpses later, they find out.